Raul finished his education with a B.S degree in Mathematics and a Minor in Physics. Recently, he became an amateur stargazer. Image 1: the constellation Orion. In a previous article I already showed how to use the stars from the constellation Orion (Image 1) to find a few important stars and constellations. Using the same method, I will show how to find a few additional important stars and constellations. Again, my focus is to show how to find the brightest star or stars from a specific constellation. After you find the brightest stars from a constellation, you can use them as reference points to create the constellation patterns that you see in the astronomy books. 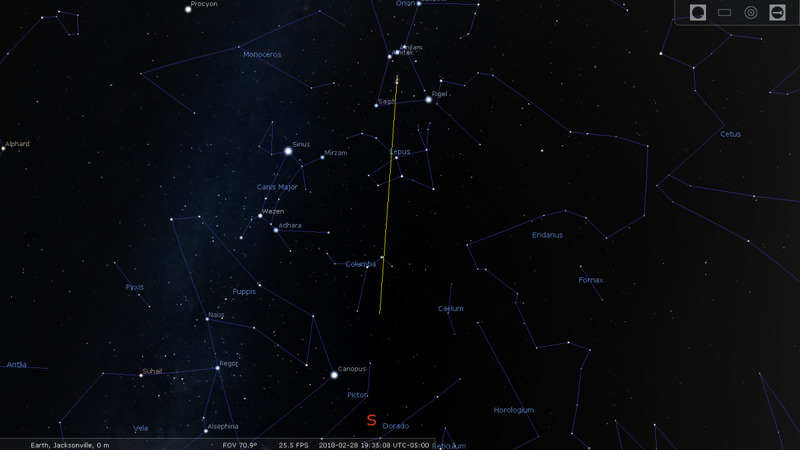 The easiest way to find the constellation Auriga is to follow the line that starts at Rigel and goes beyond Bellatrix (Image 2). 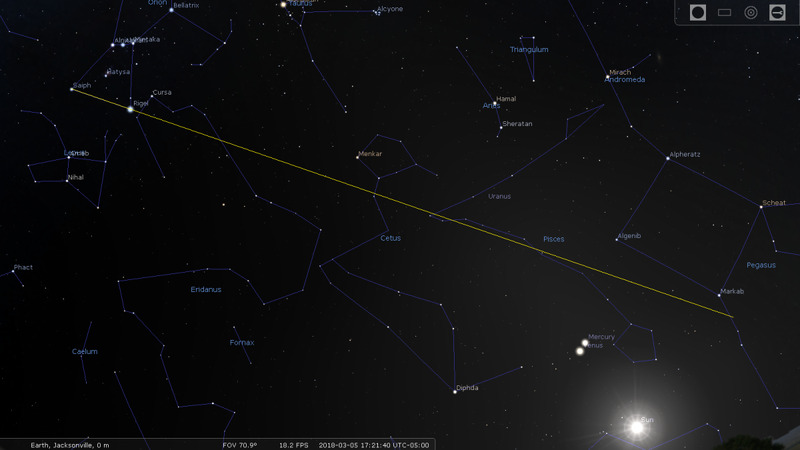 This extended line will pass very close to the stars Mahasim (Theta Aurigae) and Menkalinan (Beta Aurigae). Both stars are bright, with an apparent magnitude under 3. These 2 stars are important because you can approximate the position of the star Polaris. 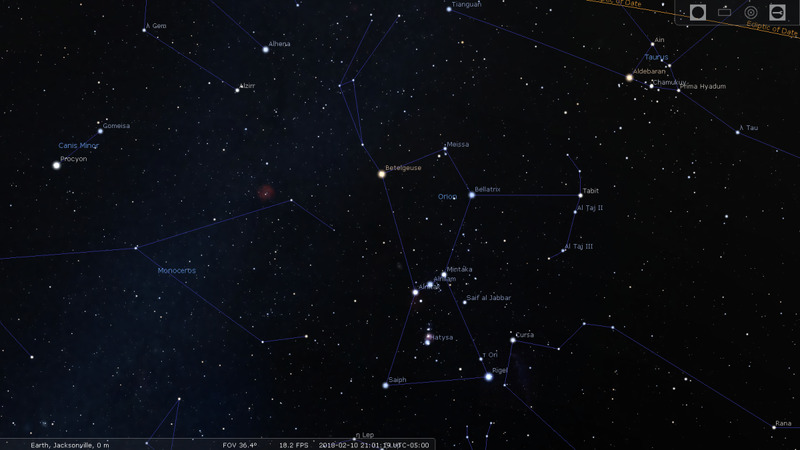 Besides the 2 stars mentioned above, Auriga also has the star Capella or Alpha Aurigae. Capella is the sixth brightest star in the night sky and the third brightest star in the northern celestial hemisphere. Capella is not far from Beta Aurigae, and due to its relative brightness, it is easy to determine which one of the two is Capella. Carina is an important constellation because it contains the star Canopus. Canopus or Alpha Carinae, is the second brightest star in the night sky after Sirius. An easy way to approximate the position of Canopus is to follow the line that starts at Alnitak (from Orion’s Belt) and goes beyond Saiph. The extended line will pass very close to Canopus (Image 3). 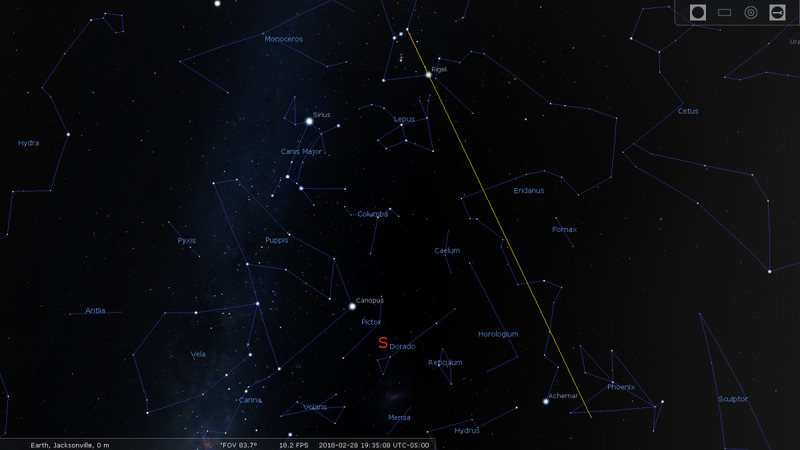 The most northern stars from the constellation Eridanus can be find near Rigel. In Image 1 it can be seen that Cursa or Beta Eridani is not far from Rigel. 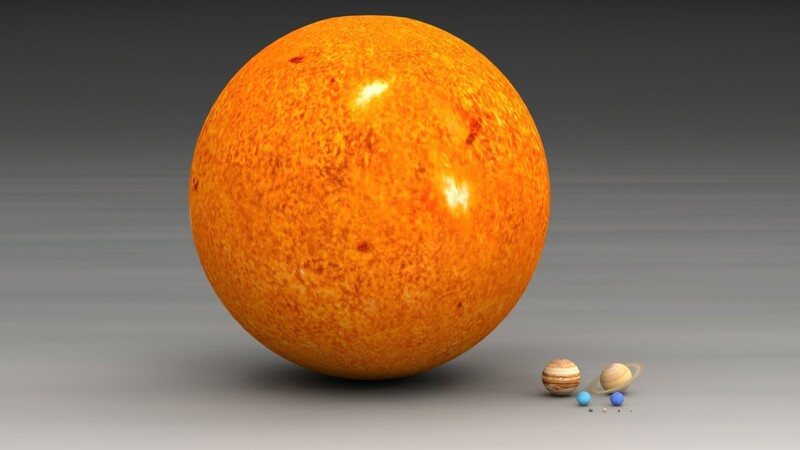 The brightest star in Eridanus is Achernar or Alpha Eridani. Achernar is at the southern tip of Eridanus at a relatively large distance from the position of the star Cursa. An easy way to approximate the position of Achernar, is to follow the line that stars at Mintaka (Orion’s belt) and goes beyond Rigel. The extended line passes very close to Achernar (Image 4). 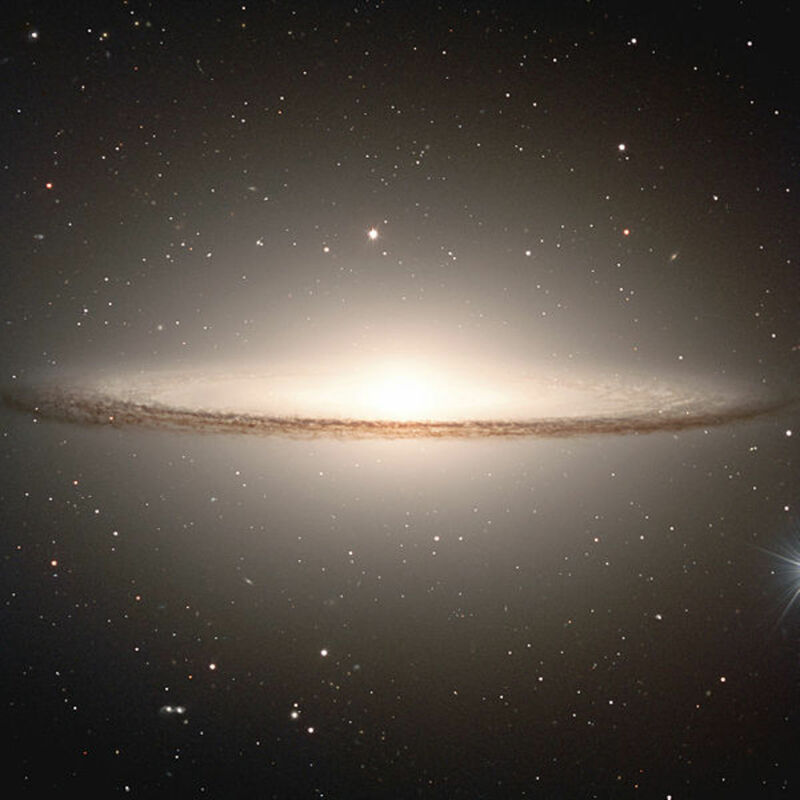 Like Eridanus, Hydra is a very long constellation. Despite its size, Alphard or Alpha Hydrae is the only star from the constellation that is reasonably bright. An easy way to approximate the position of Alphard, is to follow the line that starts at Rigel and goes beyond Saiph (Image 5). The extended line will pass close to Alphard, which should be easy to spot. 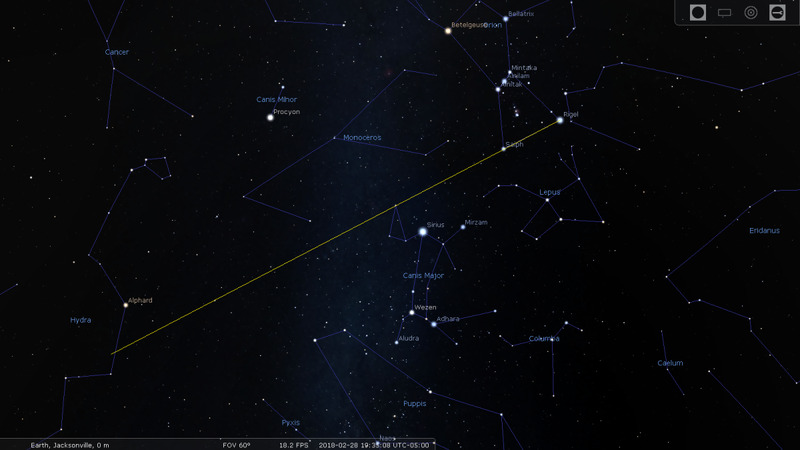 If we follow the line in the opposite direction, starting from Saiph and going beyond Rigel, the line will pass through the constellations Cetus, Pisces and Pegasus (Image 6). The line will pass close to Menkar or Alpha Ceti. The line also passes through the important zodiac constellation of Pisces. Pisces is a very important constellation because the Sun is in this constellation on the vernal equinox. 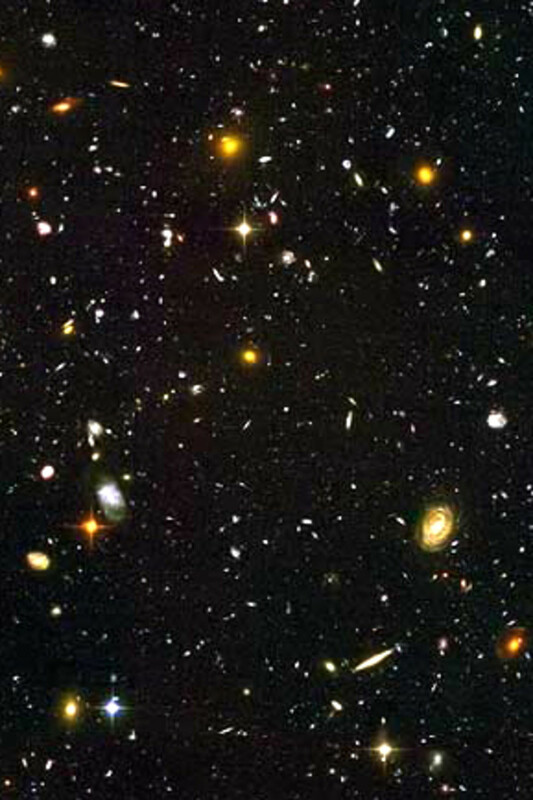 Unfortunately, the stars from the constellation Pisces have a magnitude well above 3. The line passes very close to Alpha Piscium, the star that seems to tie the two fishes together. Finally, the extended line points towards the constellation Pegasus. 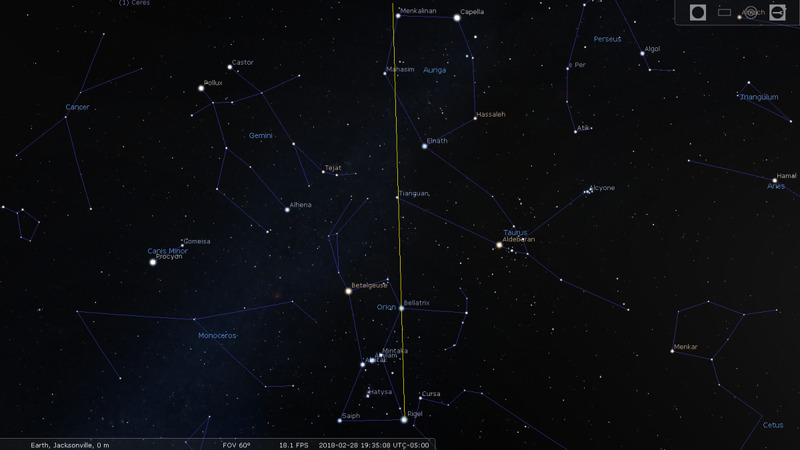 The line points towards the general location of the group of stars known as the Great Square of Pegasus, which is made by the stars Markab (Alpha Pegasi), Algenib (Gamma Pegasi), Scheat (Beta Pegasi) and Alpheratz (Alpha Andromedae). 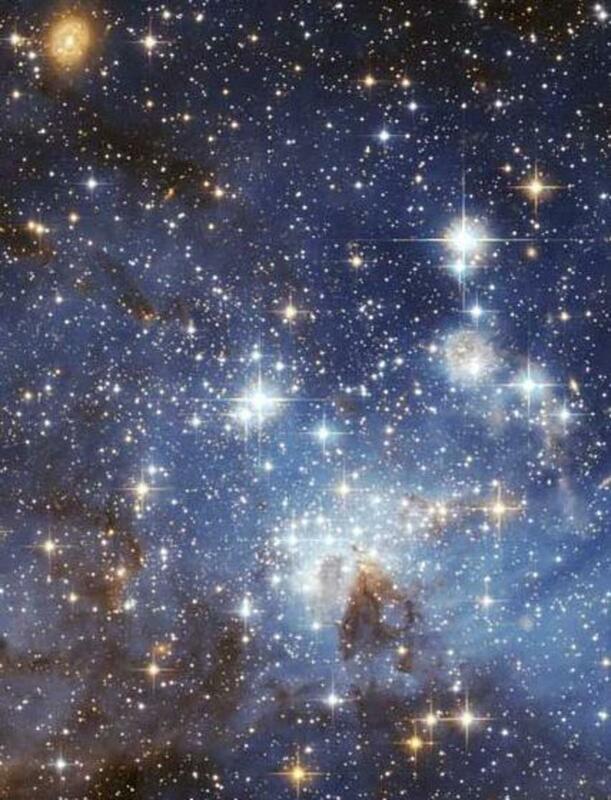 Orion’s Sword or Orion’s Dagger is a group of stars located under Orion’s Belt (see image 1). This group of stars contains the Orion Nebula and the relatively bright star called Hatysa (Iota Orionis). 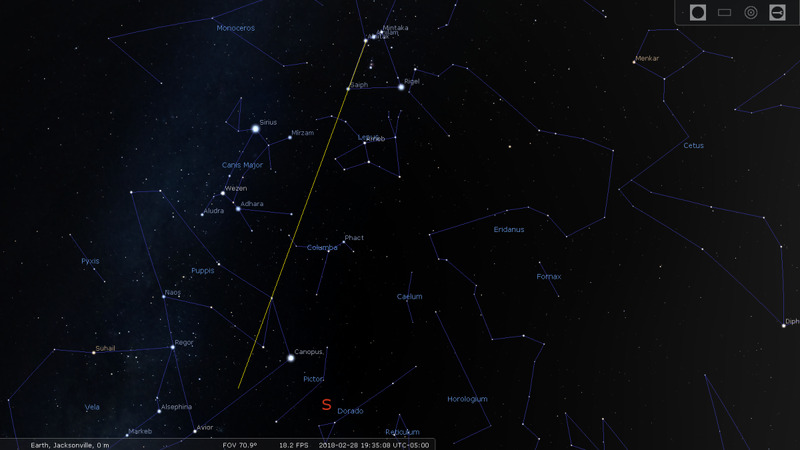 If we extend a line that goes through the Orion’s Sword and away from Orion’s Belt, this line will intersect the constellations Lepus and Columba (Image 7). The line passes close to the brighter stars of each constellations. Overall the constellation Lepus is more visible than Columba, and it is easier to spot since it is near the stars Saiph and Rigel. When the Sun is in Taurus or Gemini, the constellation Orion may not be visible at all. This lack of visibility happens during the period May-July, when the stars of Orion rise and set with the Sun. 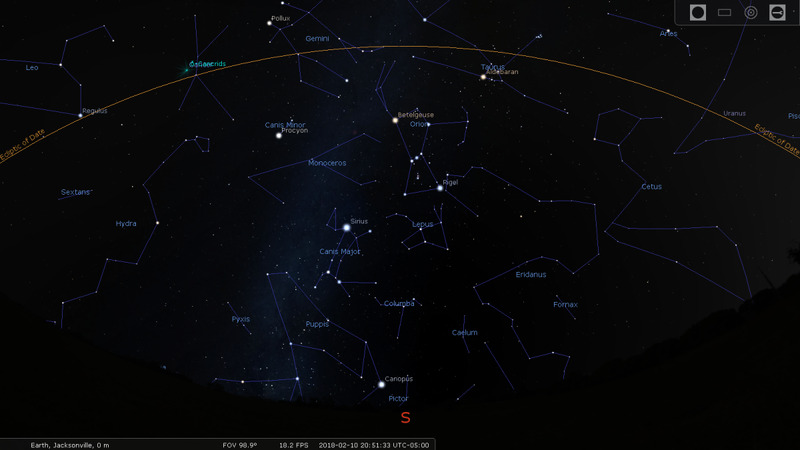 During this period Orion is mostly in daytime sky, so the Sun makes the constellation invisible. 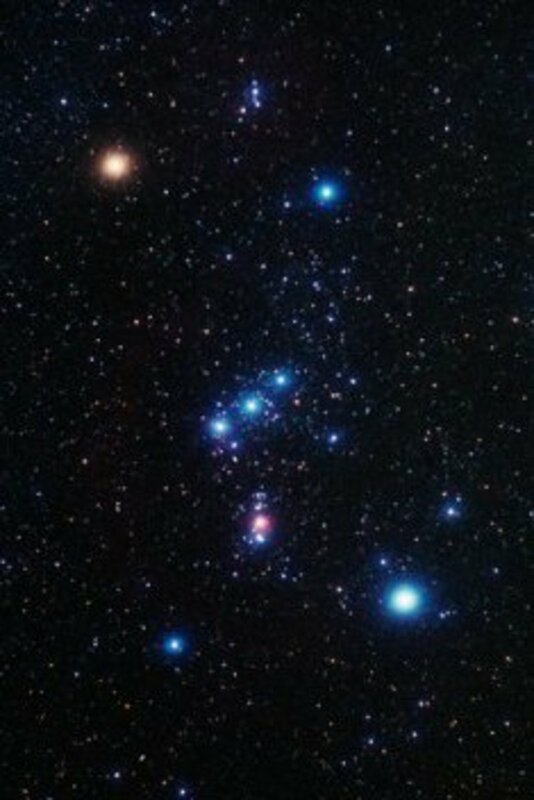 The constellation Orion has a central position on the celestial sphere. The star Mintaka from Orion’s Belt is less than 1 degree from the celestial equator, the line that divides the Northern Celestial Hemisphere from the Southern Celestial Hemisphere. This central position makes Orion visible in virtually all inhabitable latitudes of Earth. 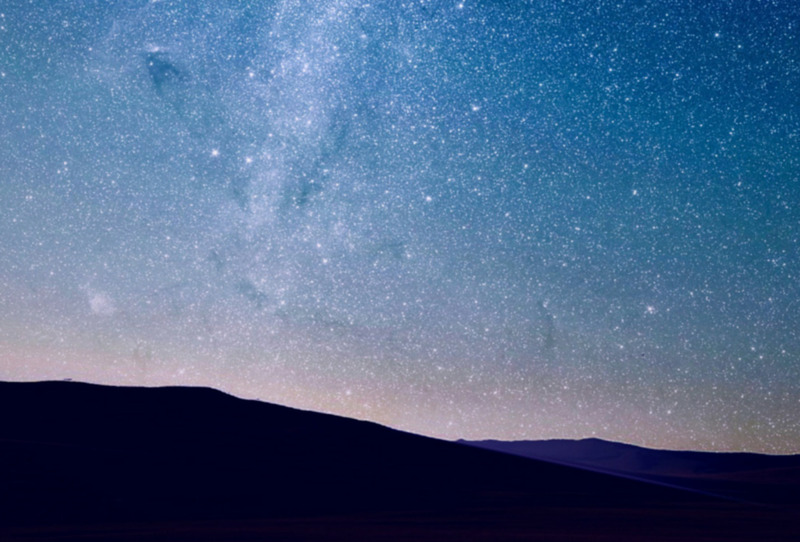 However, some stars or constellations mentioned in this article may not be visible from your location if you live at a latitude that is far from the equator. 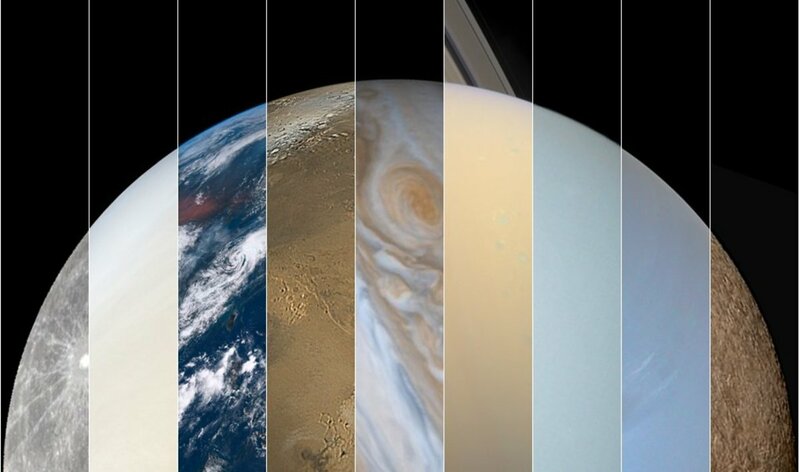 You also have to consider that during certain periods, a constellation or star is in daytime sky, thus impossible to observe with the naked eye.